I find the price points confusing. 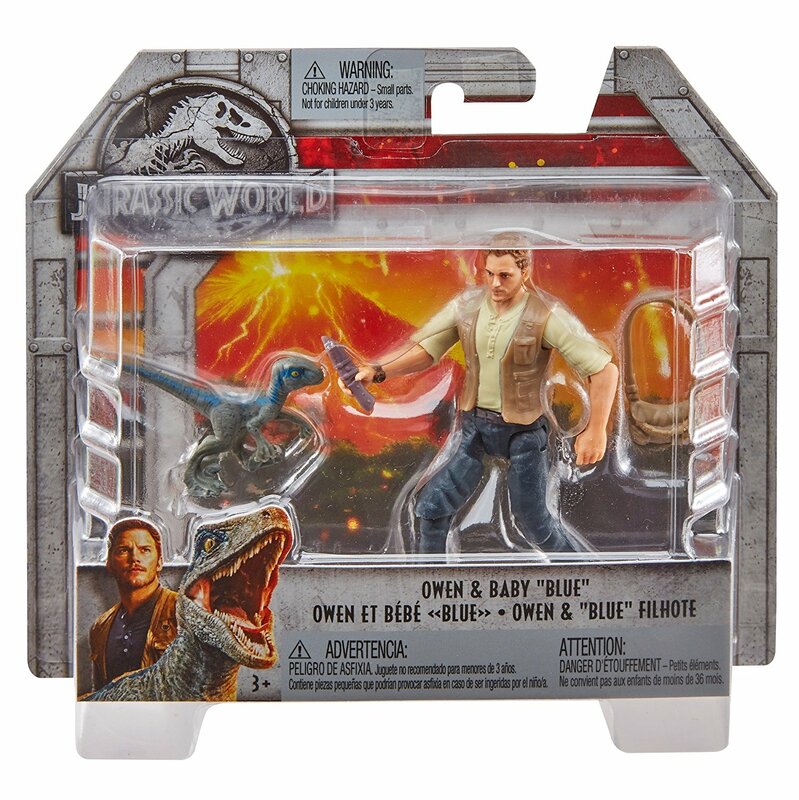 Target is offering the Alan Grant and Dino 6 pack for $40, but the T-Rex is at $19, seems flip flopped. Want to get both, but for $60? Gonna have to hold out until these are cheaper, I mean the T-Rex is a steal at $20 the Alan Grant Dino Pack should be the same or less, certainly not more. I saw all of these at Target yesterday, and was rather impressed to be honest. I particularly liked the Stegosaur. The likenesses on the humans were actually pretty decent if you could find one without wonky eyes, and the smaller dinosaurs were nice as well. I would be all over these if I still was collecting this scale. I thought I was going to get that vehicle and convert it for my Joe's use, but not anymore. Only saw a very small few of these today at Walmart. Though, the Mosasaurus fig was pretty impressive in size and sculpt. I could see myself caving-in and getting it for primarily the wow-factor. Wow, the T-rex is big!!! Apparently 'Super Colossal' is 'Mega Groot' in Afrikaans. Kinda gives me more respect for the tree guy. 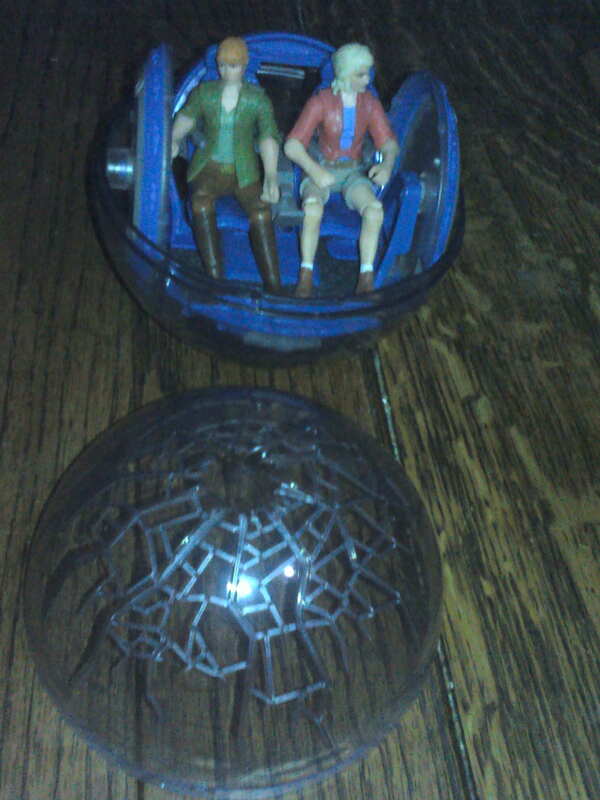 I found and picked up both the Indoraptor and the Thrash n throw T Rex and they're so much fun especially that T Rex. That Indoraptor is a lot bigger than I expected. Now all I need to do is secure myself Super Colossal T Rex and that gorgeous Mosasaur. I grabbed a Moe from Target yesterday. I would highly recommend it. 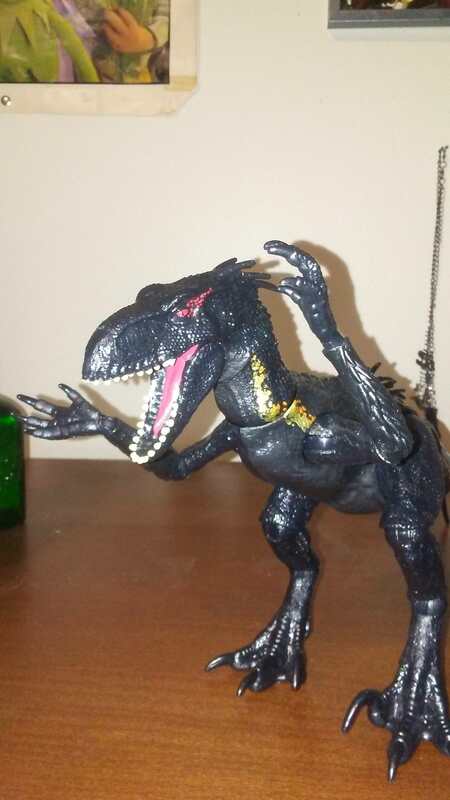 Its impressive, has good articulation and scales to about 42 feet with 1/18th figures. The SC Trex is huge. As a 1/18th collector its too big. At 54 feet it would scale more than 33% larger than the largest trex found. It's better scaled to 6 inch figures. Also picked up the Carnotaurus. The snap attack feature is fun, though my dog disagrees. Thought I would be picking up some of the human figures. Not so sure anymore. They weren't as impressive. The new Jurassic World IndoRaptor is badass, super-articulated with balljoints out the wazoo! That's looking pretty damn cool. Went looking for some Jurassic World stuff earlier but didn't find anything. I saw them at two target stores yesterday, I’d like to get the classic characters but all I’ve found so far is Grant. 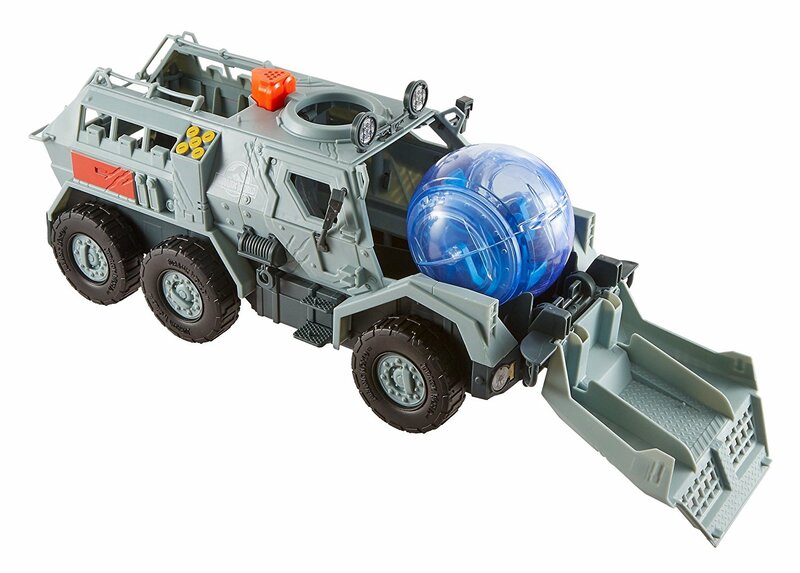 I think these are a big improvement over Hasbro’s offerings for the last movie. 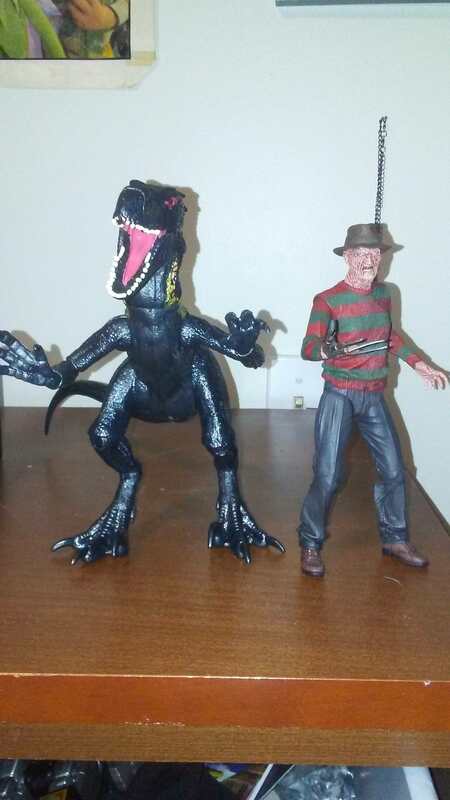 Hasbro had no consistent scale, skipped out on human characters, and generally had poorly designed dinosaurs with intrusive action features, cheap feeling plastic, and ugly screw holes everywhere. The one disappointment so far is that they’ve not done a definitive Rex, which is what I’d be most interested in. The colossal version that is essentially 6” scale, cool but too big for me. The “thrash and throw” version that is perfectly scaled for the human figures, but the action features are too intrusive on the sculpt and articulation. And an “extreme chomping” version that looks better and it isn’t completely dominated by action features, but is undersized for the human figures. I think that Indoraptor figure is the best toy so far, it’s superarticulated and a good size. For $20, it’s like a Marvel Legends dinosaur. I would love a Rex to be done in this style. Scaled with the figures, articulated legs, jaws, and tail. 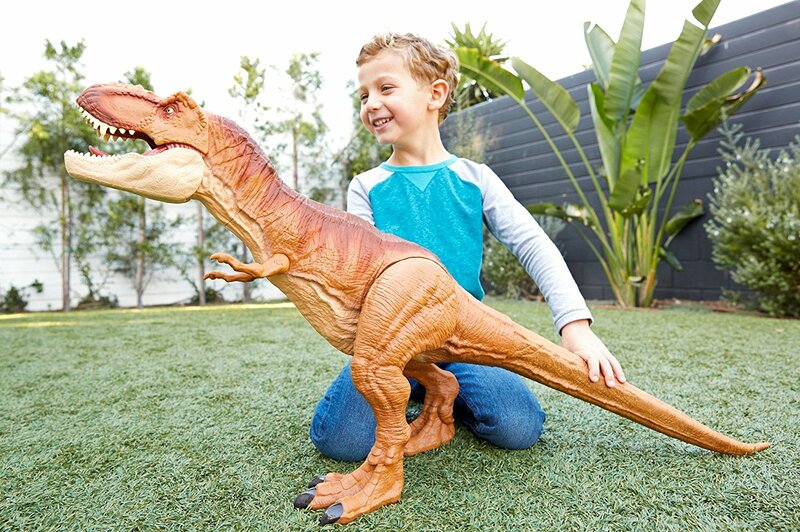 I think the Indoraptor was their way of throwing collectors a bone, I'm sure they know we want super posable dinosaurs (just look at how well that raptor kickstarter did!) but they also know the main toy buyers will be kids, so you gotta put in those lights and sounds and action features to entertain 'em!!! I got Sattler and Claire at Target today. I bought the SC T-Rex yesterday. He is very impressive. Also got a Blue so he can ride shotgun on his back like he did in JW. 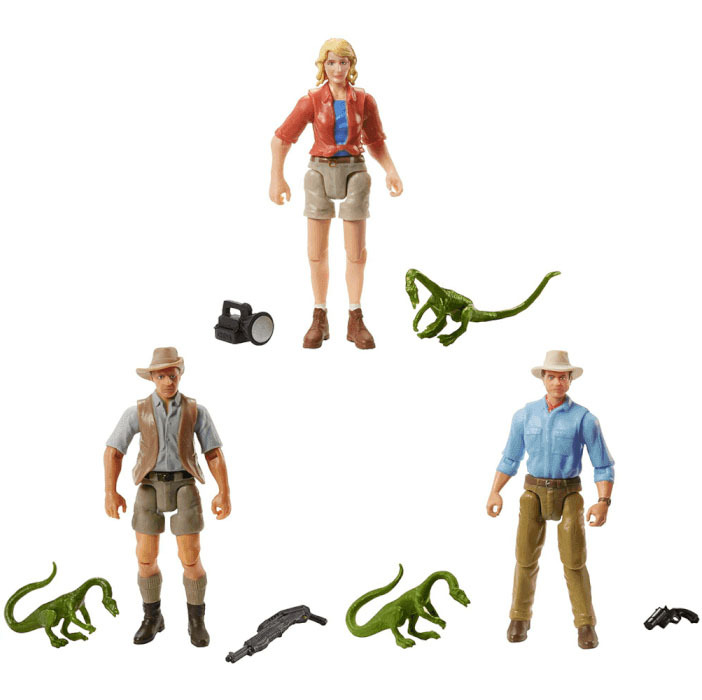 Sattler is one of my most wanted figures right now, I’ve gotten ahold of Grant, Muldoon, the Legacy Jeep and T-Rex, but no sign of her so far. Went to Target, she was the only one. Nice find, LordMudd! I've been stalking for those for a little while. They look good! Stopped at TRU today and they actually had fallen kingdom merch. Tons of the 3.75 owen/oewn/merc assortment. Few donors scattered around. MSRP base price before 30% clearance discount. 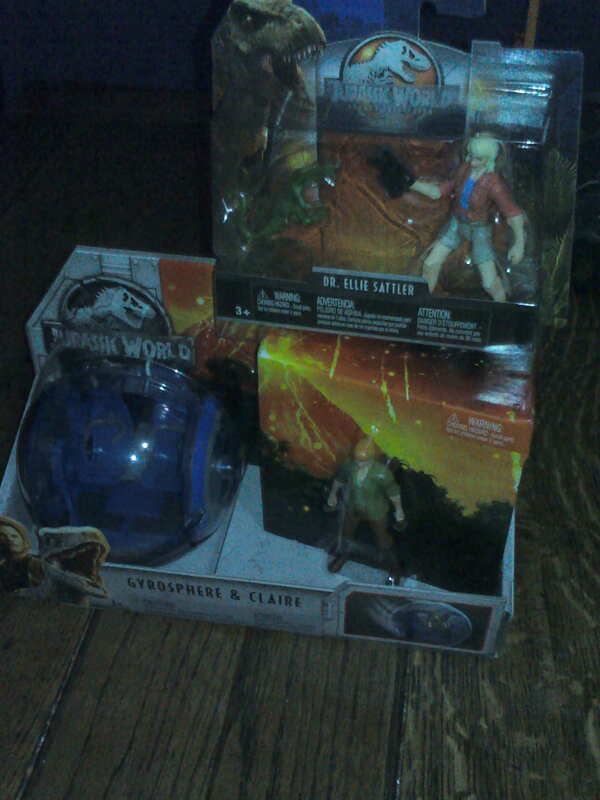 I'm picking up a few of the legacy dinos for my son and some original Jurassic Park figures for me. So far I've found Allen and Muldoon. No sign of Ellie Sattler anywhere. Also, when does the Ian Malcolm wave get released?